Posted February 9, 2011 by Emmet Farrell in News. 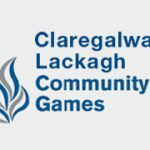 Claregalway/Lackagh Community Games held their Registration Night for the winter events last Tuesday, 1st February. It was very encouraging as there was great interest with lots of participants registering for the many events. There is still time to register for some of the events. Please check the website www.claregalwaylackaghcomunitygames.com for more detailed information or contact Marie Lyons at 085-7223235. Date for your Diary: The Claregalway/Lackagh Community Games Track and Field events will be held on Saturday, April 9th in Dangan Race Track, Newcastle, Galway starting at 1.30pm. Registration for the Track and Field events will take place on the day.